There's nothing we won't see on social media these days! 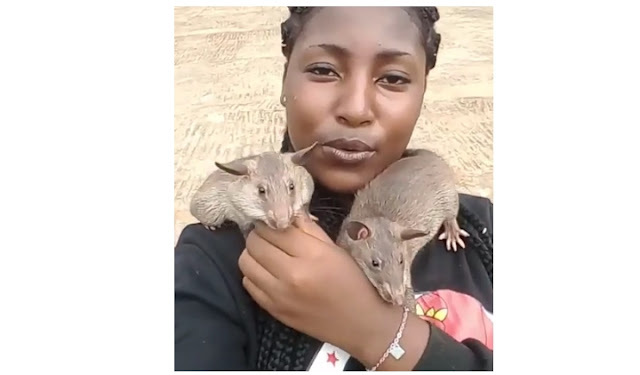 A Nigerian lady, Law Vickie, took to her IG page this afternoon to proudly show off her rodent 'friends'. She described them as jobless, saying all they like to do is to eat and sleep. Vickie also urged the rodents to say hi to Nigerians on social media. Watch the weird video below.